If you’re looking at a way to revitalise the atmosphere and design in your home, then a change in the flooring is a great way to do it. There have been some definitive trends towards the use of timber flooring as a way to break out of the carpet and tile styles that have dominated the markets for so long. Not everybody likes the darker stained timber so there has been a lean towards homeowners moving away from traditional colours and looking at a bolder impact that different woods might offer. Darker Stained Timber Floors – if you’re looking for some amazing contrasts of white walls or even white furnishings then a timber floor of coffee brown or even a deep black will do the trick. Dark floors tend to make the room look smaller and also show the dust more, so it’s an option for a larger room. Blonde Timber Floor – this colour is quite the opposite extreme, but very popular as it can make a small room look much larger and brighter, especially if you have some large window space allowing in the natural light. Check with your supplier about what light-coloured wood is available. 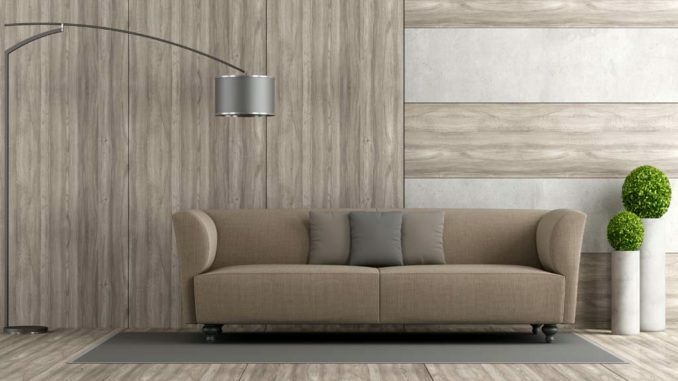 Grey (not 50 shades) Flooring – you would be incorrect to think this colour might suit offices only as it has shown some popularity amongst homeowners looking for a particular effect. A low sheen finish and a calming effect is where grey will take you. Bamboo – you wouldn’t think bamboo came in so many colours, but they do range from the almost yellow look to shades of bronze, coffee, a champagne colour, and even natural timber. Bamboo continues to grow in popularity and it’s extremely tough, durable, strong. It’s the fastest growing grass (yes, grass!) in the world, so it’s category as sustainable is spot on. Architects love designing in bamboo. Textures – taking wood and giving it a distinct hand-crafted look is another timber flooring trend growing in popularity. By applying a wire-brush or hand-scraped finish, it adds another dimension to the standard product. Laminated timber flooring is picking up on this and manufacturing look-alikes and in designs of rustic and textured looking. The boards are stain resistant and a cost-effective alternative to real hardwood flooring. Planks – remember the house your grandparents lived in? The ones with jarrah wooden floors made of long boards of that timber, which, by the way is very, very expensive today? There is a renewed demand for the longer and wider hardwood planks. They are no harder to install and you get a lot more character in this style with things like knots and grains being fully present rather than sliced into pieces. Laying this style of timber flooring can be done in different patterns if so desired. It certainly would help to make a floor a point of real interest. So, if it’s timber floors that you want for your new home, then the choices are very big, not only in colours, but also in materials, size and even patterns.